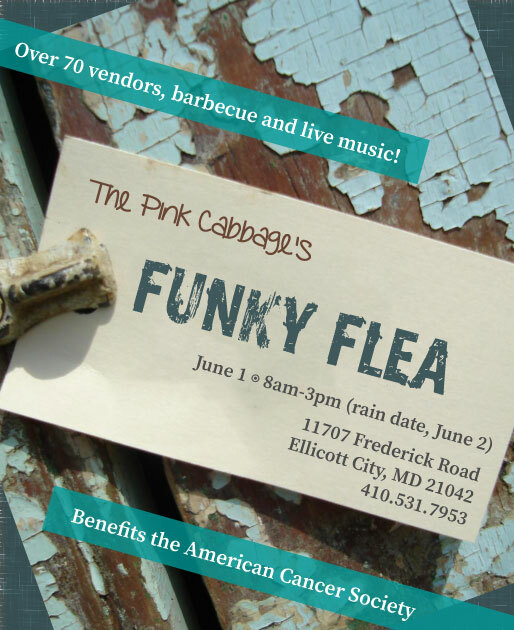 Come to our largest event of the year, The Pink Cabbage’s Funky Flea, is held the first Saturday in June. Flea Market Style Magazine features our fabulous Funky Flea as one of reader’s favorite flea market in Maryland! We now have over 50 very talented and creative vendors, a scrumptious food tent and live music! Interested in selling items at the Funky Flea? Please fill out a vendor agreement here.